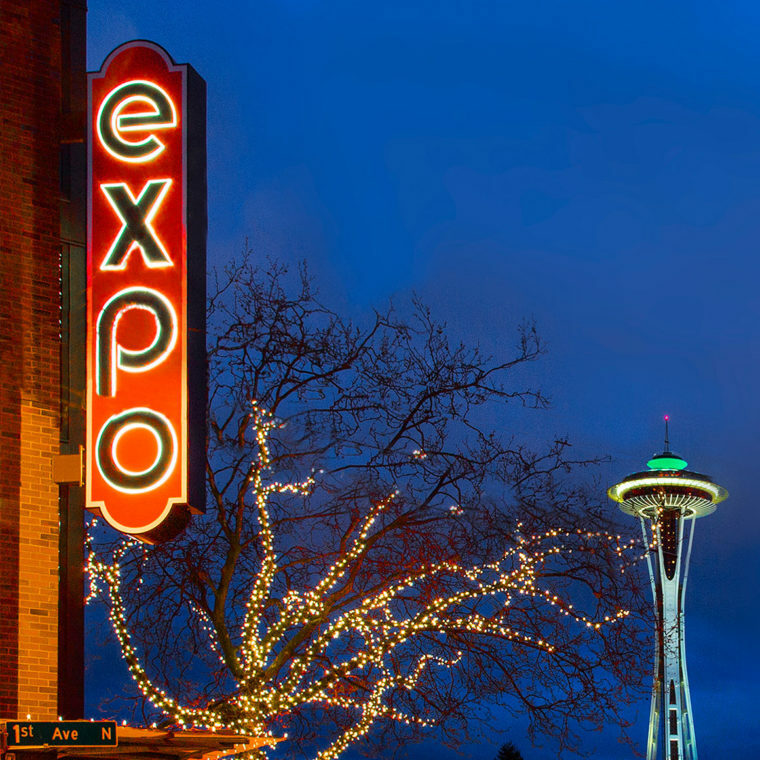 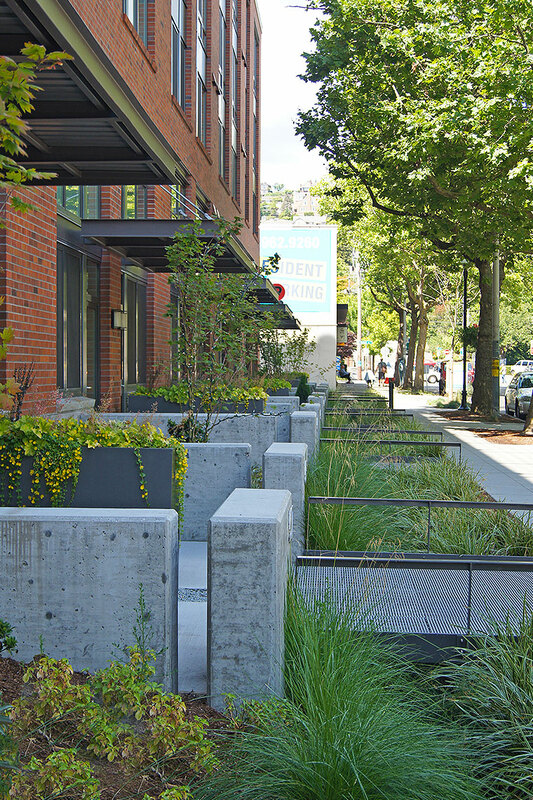 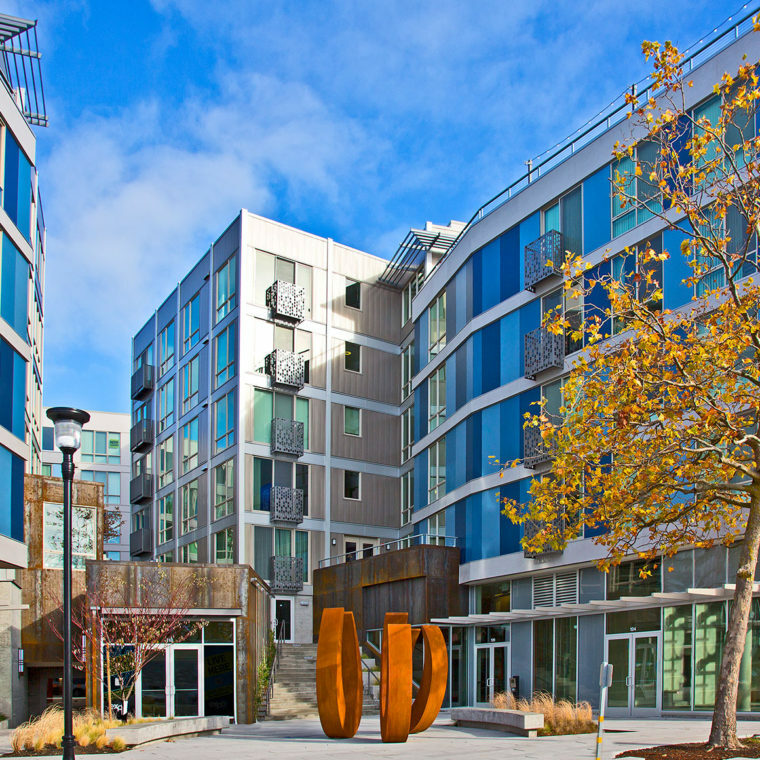 A large public plaza featuring sculpture and seating serves as a grand entryway and an extension of Seattle Center’s Northwest entrance resulting in a lively pedestrian environment. 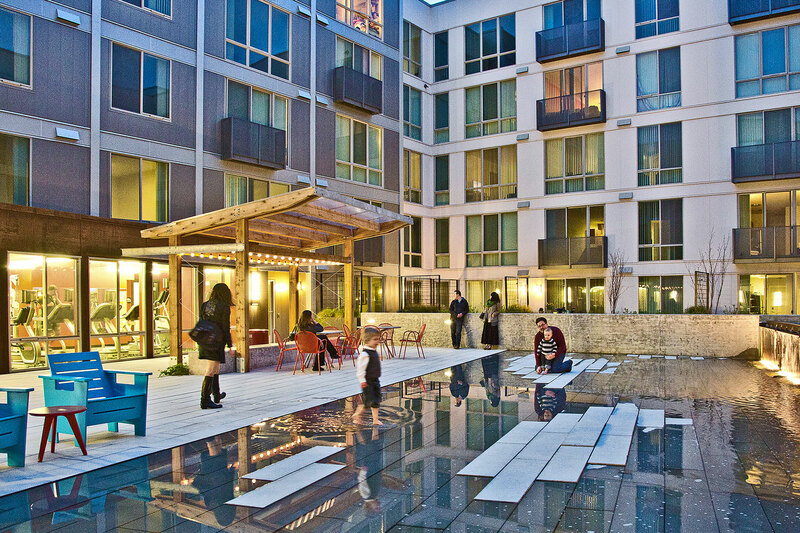 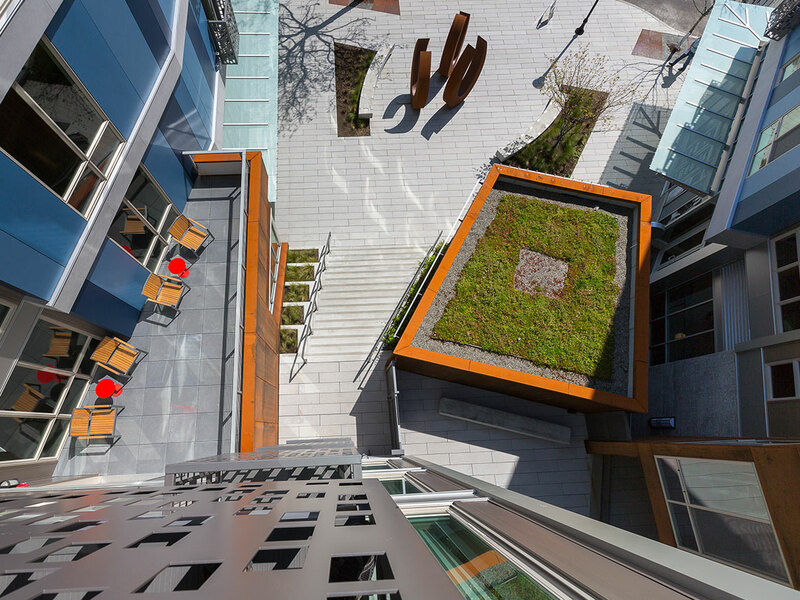 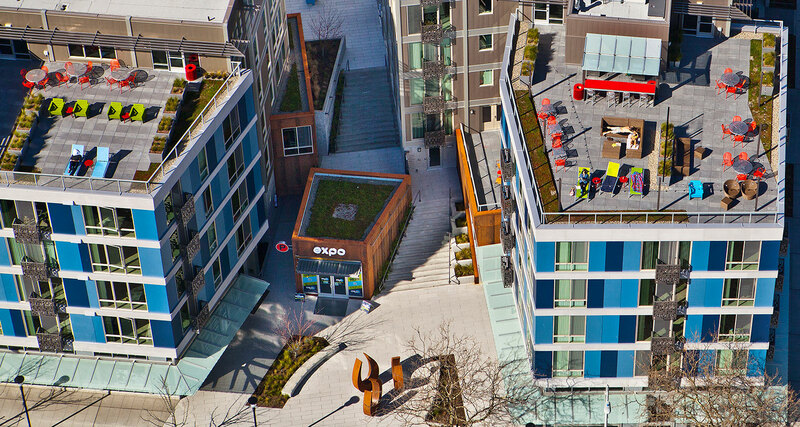 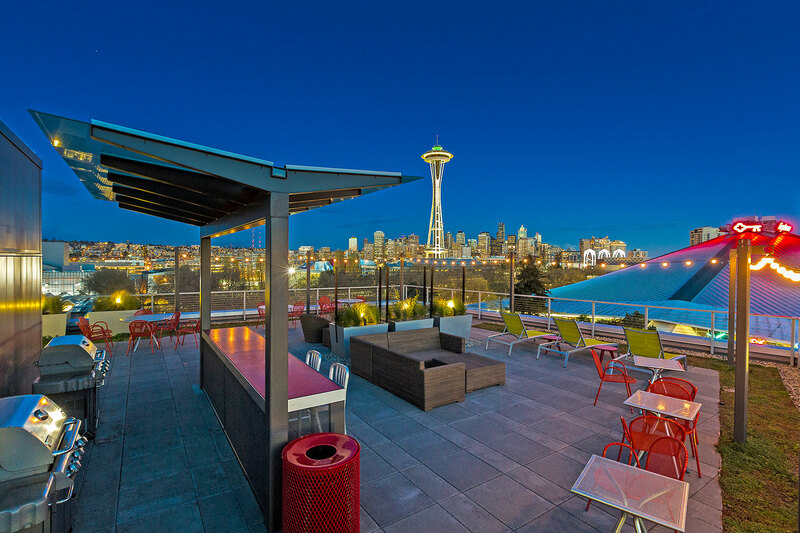 Rooftop terraces offer green roofs, views, and a residential P-Patch. 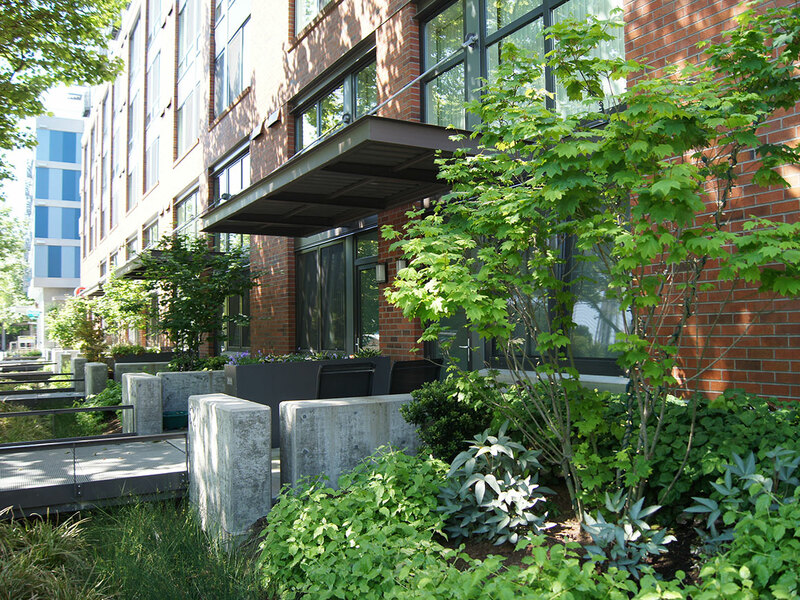 Gracing the quiet eastern edge are street-front townhome entries lined with rain gardens and majestic western red cedars giving the project a neighborly balance of private, semi-private and public spaces. 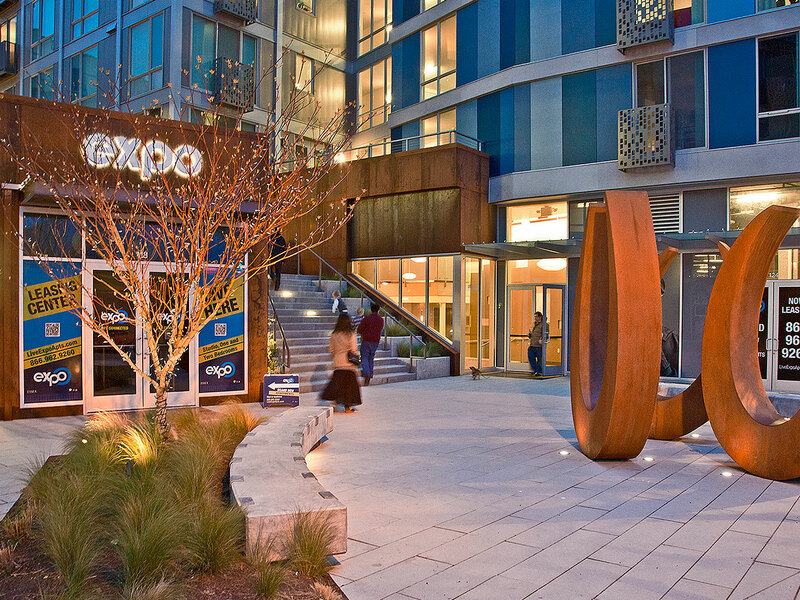 Expo is LEED™ Homes MidRise Gold Certified.